Gov. 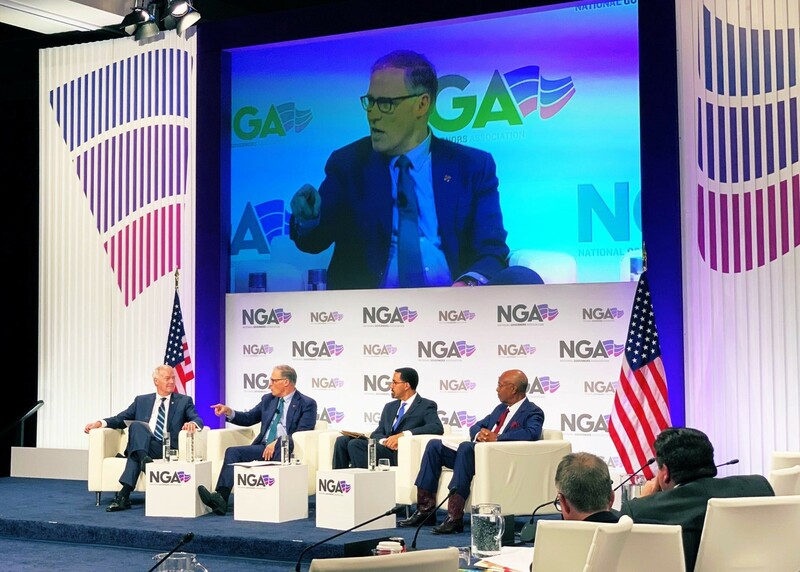 Jay Inslee attended the National Governors Association’s Winter Meeting in Washington, D.C. over the weekend. 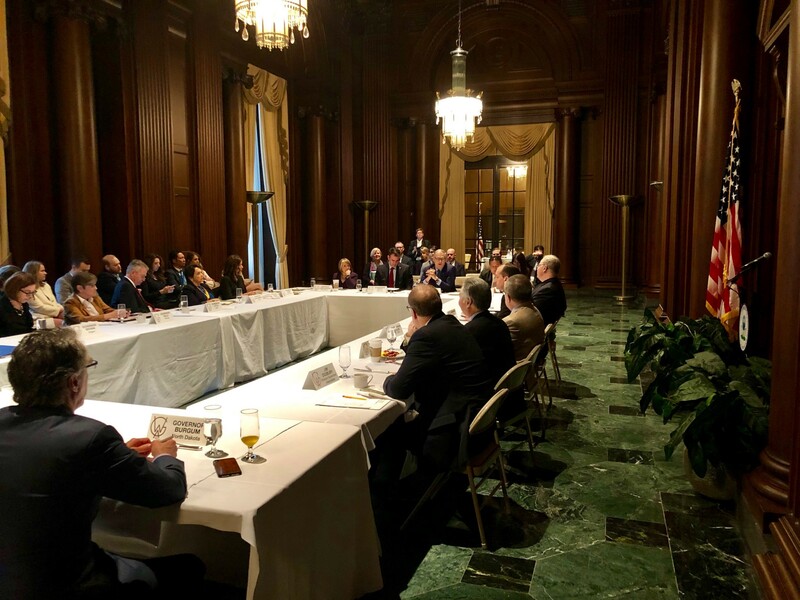 He joined a bipartisan group of governors who traveled to the nation’s capital to discuss mutual issues between states at breakfasts, plenary sessions and meetings. Inslee joined fellow western state governors and federal cabinet officials at the Environmental Protection Agency on Sunday. The meeting covered a number of priority issues to western states, including forest management and wildfire prevention, workforce development and public lands. During the dialogue, Inslee highlighted the need for increased federal investment to prevent wildfires and shared his strong opposition to the Trump administration’s environmental rollbacks, from gutting emissions standards to repealing the Clean Power Plan. He also led a plenary session with Gov. Asa Hutchinson of Arkansas, titled “Beyond the Classroom: A Roadmap to Education Innovation,” in his role as co-chair of the NGA Education and Workforce Committee. Inslee highlighted the dramatic investments made in Washington’s education system during his time as governor — from increasing enrollment in early childhood education by nearly 8,000 children, to boosting the number of schools offering AP Computer Science by 600 percent, and launching Career-Connect Washington with a goal of connecting 100,000 students to registered apprenticeships and on-the-job learning. During the session, Inslee also spoke about how Washington is addressing educator shortages by prioritizing salaries and benefits in the state’s education system. Finally, Inslee shared the work happening right now in the state’s legislature to continue improving educational opportunities, which includes his plan to fund nearly 2,400 new early learning slots and create a statewide free college program to guarantee financial aid for more than 93,000 eligible students. He visited the White House on Monday to participate in a meeting with fellow governors, federal cabinet officials and President Trump. News and updates from Gov. Jay Inslee and his administration. News and updates from Washington state Gov. Jay Inslee and his administration.